Since ancient times and even today, myriad legends of the Dragon permeate and shape Chinese culture. Dragons are referred to as the divine mythical creature, whose benevolence signifies greatness, goodness and blessings. 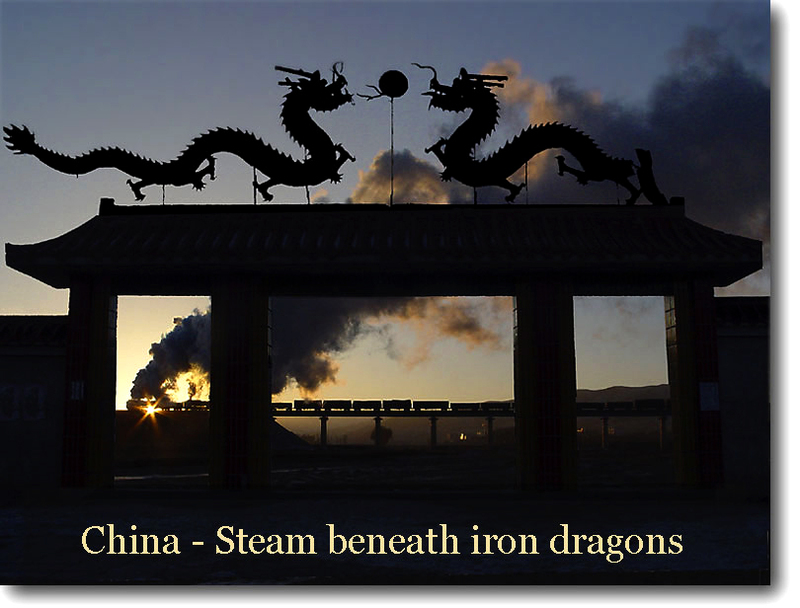 Many Chinese believe that Dragons bring Ultimate abundance, prosperity and good fortune. 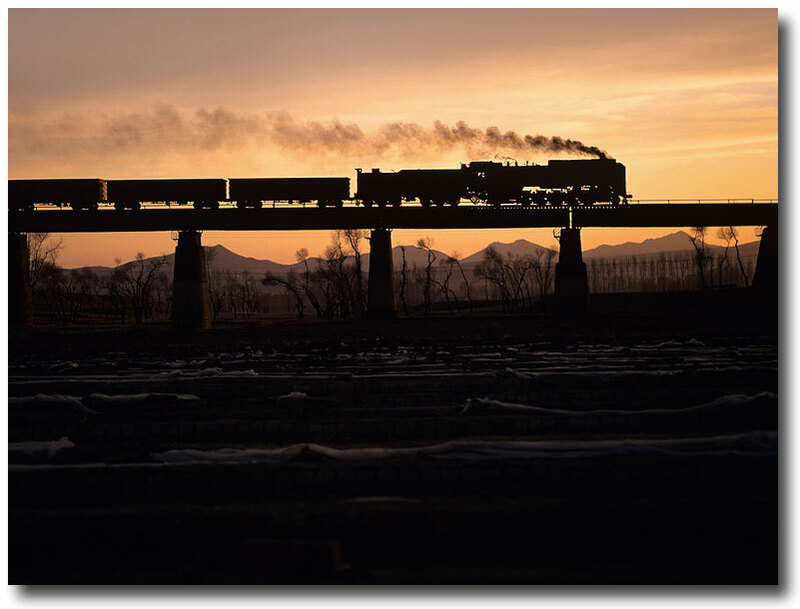 Merging those two Dragons I encountered in Reshui village with a pair of heavy working QJ's on a wonderful sunset on December 30, 2002, I wish the same comes true for both inner Mongolia's Ji-Tong Railway, its employees and for the Chinese railway system in general. 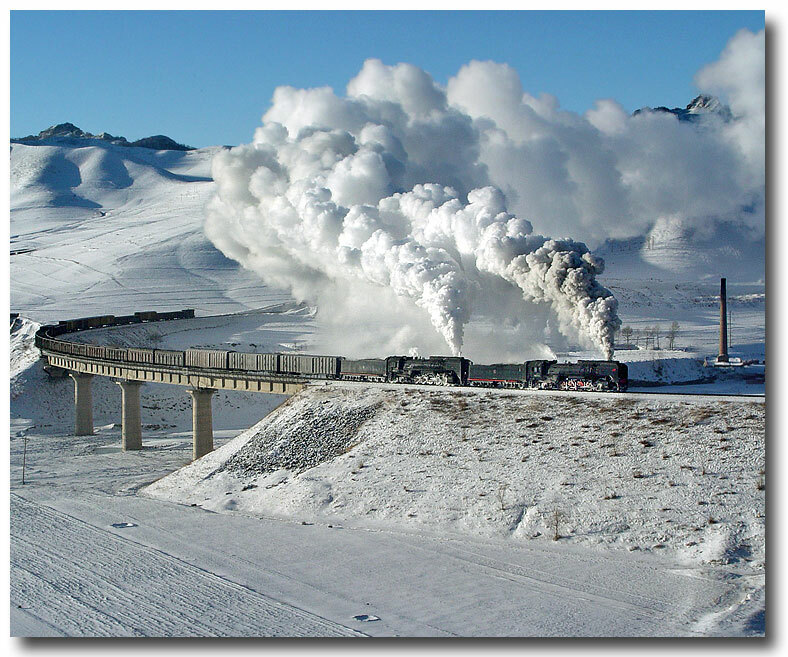 The Ji-Tong Line was the last Mainline Railway in the world that was fully steam operated at the turn of the century. The Main workshop of the was located at Daban, Inner Mongolia about halfway of the 900km line. How dfferent the QJ-engines could look like shows this picutre. The crew of the decorated QJ to the right was praised for its excellent record on safety and puctuality. More about Daban here. 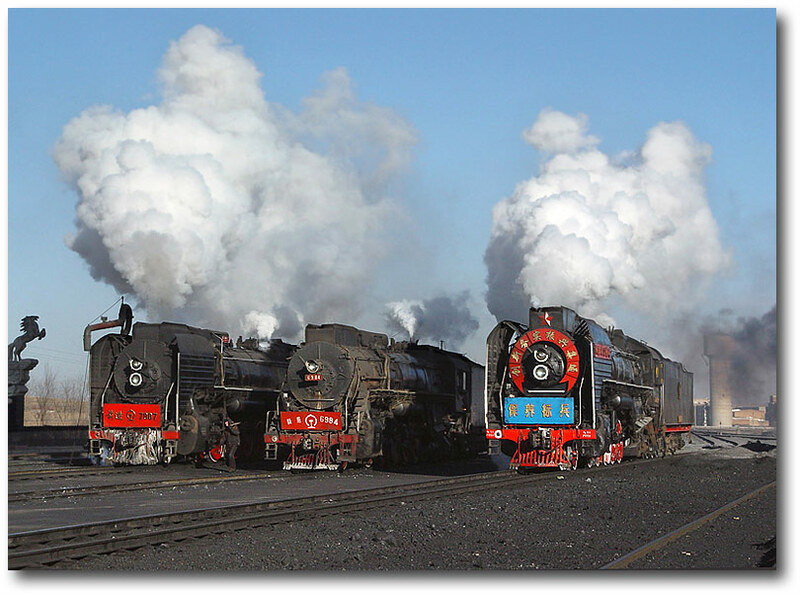 At the beginning of the new century, there was hardly any place on earth that could match China's JiTong Railways in Inner Mongolia in terms of steam action. Read more about it here. Yebaishou was a busy junction in northern China with three single track mainlines radiating towards Chenge, Chifeng and Shenjang. At the foot of the Bolouchi climb, a QJ from Chaoyang approached Yebaishou in late afternoon, December 26, 1996. More on it here.